Sports Direct has said it will offer casual retail staff guaranteed hours instead of zero-hours contracts and ensure all warehouse staff are paid above National Minimum Wage following a review into working practices at the retailer. A report conducted by professional services firm RPC found “serious shortcomings” at the company’s warehouse in Shirebrook, Derbyshire, which Sports Direct’s board “deeply regrets and apologises for”. The retailer will now offer its directly-employed casual retail employees the option of either a zero-hours contract or a permanent contract with a “guaranteed number of minimum hours”. It will also suspend its “six strikes and you’re out” disciplinary procedure and pledged to pay warehouse staff above the National Minimum Wage. The report said Sports Direct owner Mike Ashley, who was hauled before MPs over conditions at the warehouse, “takes ultimate responsibility for any aspects of the working practices that were unsatisfactory”. The billionaire, who also owns Newcastle United FC, has faced increasing pressure from shareholder groups in the run-up to Wednesday’s annual general meeting (AGM), with calls to overhaul its board of directors and launch an immediate independent review into working conditions at its factories. The company has faced a string of allegations, with the Unite union making clear in its submission to the Business Select Committee that staff were subject to “Victorian” working practices and lived in constant fear of losing their job or facing disciplinary action for “excessive” talking or spending too long in the toilet. The union said workers had likened conditions to a “gulag” or “labour camp”, with one woman giving birth in the toilet and other female staff making claims of sexual harassment. 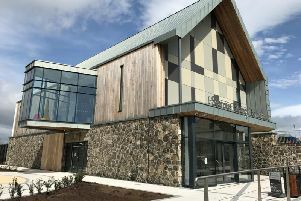 The report said that, as a consequence, the human resources team at Shirebrook will be “significantly strengthened” and will include a full-time nurse and a welfare officer. Several investor groups have also challenged the firm over its corporate governance structure and questioned the amount of power wielded by Mr Ashley, who owns 55 per cent of the group and is deputy executive chairman. To address this, Sports Direct said it will instigate an external report evaluating the board later this year and RPC will be instructed to carry out another “360” review of wider corporate governance prior to the 2017 AGM, where it will be presented to shareholders. Mr Ashley is still expected to face shareholder and union anger at Wednesday’s AGM and “open day”, where he will open the retailer’s factory doors to the public in a rare act of transparency. Iain Wright, the chairman of the House of Commons Business Committee which investigated Sports Direct, welcomed the report but said it did not go far enough. Mr Wright called for a wider, more independent review of corporate governance practices at the company. He highlighted the report’s revelation that no formal contracts were in place for the workers on zero-hours contracts employed through agencies to which Sports Direct pays £50 million a year. This is something which Mr Wright described as “an astonishing lapse of management and indicative of the lax attitude that we have seen in the company”. The Labour MP told BBC Radio 4’s Today programme: “This isn’t a whitewash in terms of a report. There are questions over the independence of the people who have done it, because it is Mike Ashley’s lawyers who have published the report.